Bent Sørensen, one of the world’s leading experts in the field of renewable energy systems, explores the current hurdles to the universal adoption of renewable energy sources and proposes solutions to the current situation in this new inspiring work. 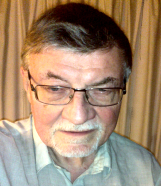 He discusses the social, political and economic issues that make sustainability seem like such an attainable goal, and explores the ways through which change can be achieved without loss of welfare. 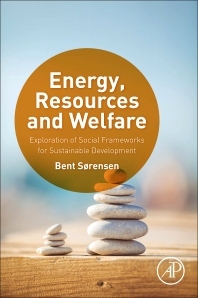 Even though the author has written several scientific monographs covering the technical issues behind the energy and social transitions mentioned in this book, and bases his conclusions on solid facts and analysis, Sørensen avoids specialist jargon in this text. He therefore addresses scientists and engineers directly involved in sustainable technologies, as well as energy planners and decision makers in industry and government, and also those interested in the direction in which our societies are moving. This book can be a good basis for discussions and debate, whether in academic or in political circles, and may even be used as complementary reading for students in the field of energy generation, implementation, planning, management, markets and policy. One of the world’s leading experts in renewable energy systems looks into economic, social and political factors that influence the current state of renewable energy implementation in the world. Sørensen examines the reasons why reaching 100% renewable and sustainable energy sources might seem like an unattainable goal, and proposes alternative solutions that would allow the world to proceed towards energy sustainability without losing welfare. 5.4. It can be done!